Birth of son William Latham in Little Crosby. Birth of son James Latham in Little Crosby. Birth of daughter Margaret Latham in Little Crosby. Birth of son John Latham in Little Crosby. Birth of daughter Ann Latham in Little Crosby. Birth of son Peter Latham in Little Crosby. Birth of son Henry Latham in Little Crosby. 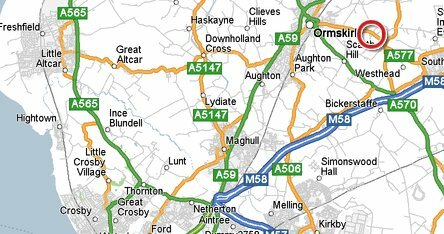 "Lathom, township and local government district, Ormskirk par., N. Lancashire, on river Donglas and Leeds and Liverpool Canal, 4 miles NE. of Ormskirk. Lathom House, seat of Lord Skelmersdale, occupies the site of the ancient house of Lathom, defended by the Countess of Derby against the Parliamentary forces."